BAYONNE — A campaign worker filed a police report last week alleging that Bayonne Business Administrator Joseph DeMarco hit him in the back with a t-shirt. Police were dispatched to Kuhl’s Tavern – which has become an unofficial hangout for political dissidents in Bayonne — on the report of harassment. Pat Desmond, who was involved with the Christopher Munoz primary campaign for state Assembly, claims that DeMarco threw a t-shirt at him Tuesday. In the police report, Desmond said he was standing outside the tavern talking to former Public Safety Director Jason O’Donnell when he heard someone say, “Here, have the shirt of a winner,” after which Desmond said he was struck in the back of the head with a yellow t-shirt that displayed the campaign slogan for the candidates Desmond opposed. The incident occurred shortly after election polls closed at about 8:30 p.m. Tuesday, by which time the results showed Desmond’s candidate had lost. 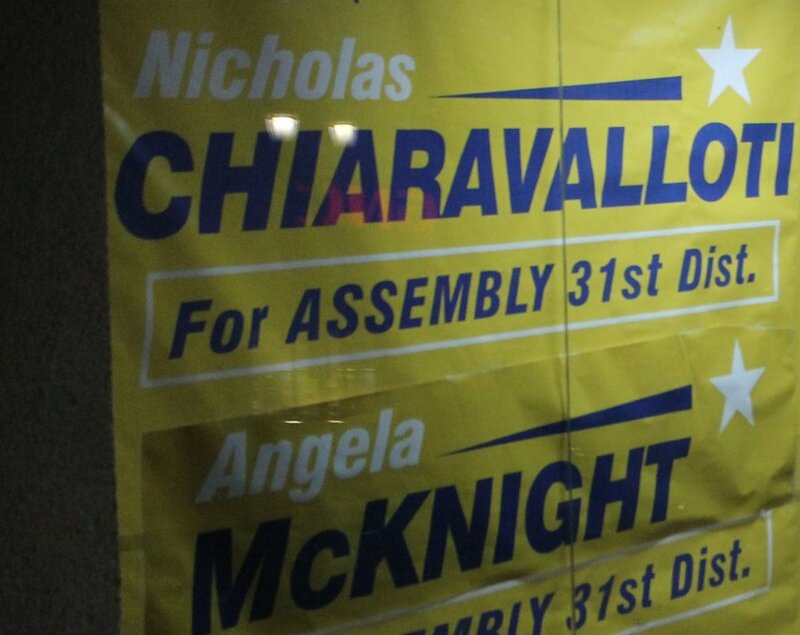 DeMarco supported Nicholas Chiaravalloti, the winning candidate. Ill-feeling between Desmond and DeMarco had percolated since the successful election of Mayor Jimmy Davis in 2014. Desmond and DeMarco both worked on the Davis campaign, but Desmond became a Davis opponent a short time later, and has been extremely critical of DeMarco. Desmond said he will be filing charges by early next week. DeMarco did not have a comment on the incident when contacted. Earlier this month, Desmond filed charges against another campaign worker for Chiaravalloti, claiming a violation of the federal Hatch Act. In the suit, he claimed an employee of a local congressman was allegedly campaigning for Chiaravalloti while working as a federal employee.